Buy the Säntis Swimsuit sewing pattern from Opian. Säntis is a one-piece swimsuit with a 90s touch. It has a scoop back, sides and hips. Suggested fabrics: It is essential to choose a four-way stretch fabric with a high percentage of stretch (lycra, polyamide or nylon). Fabric requirements: 150 cm wide fabric: 75 – 80 cm. Sizing: 1 – 8 (approx. 4 – 18 UK). Please check the size chart. 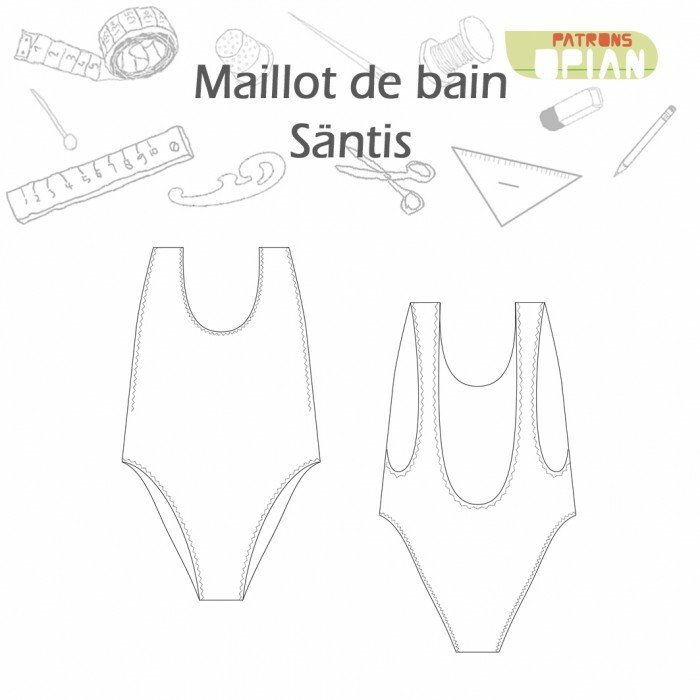 Notions: Elastic (0.7 cm width), about 3.80 m.
This sewing pattern is available in PDF format. The PDF pattern will be available immediately for download after purchase. PDF pattern includes: A0 (copy shop) and A4/letter formats.